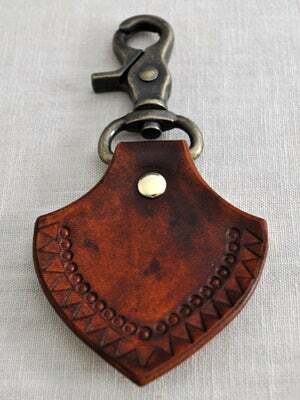 Is Leatherwork The New Friendship Bracelet? Remember wiling away those summer camp nights weaving colorful lanyards? Well, if you’re craving a hit of nostalgia, we’ve got a grown-up craft session to bring it back old school. Natalie Davis, the designer of Austin-based leather goods line Canoe, is hosting two intimate keychain workshops right here in Lala. The guru will give newbies the lowdown on leatherwork — from stamping and dyeing to selecting the correct weight and construction — and then the chance to apply those spankin'-new skills to create custom keychains. These workshops fill up fast, so reserve a spot (and one for your bestie!) now — you know the little camper in you wants to. When: Saturday, July 20, 11 a.m. to 2 p.m.
Where: Dream Collective, 1404 Micheltorena Street (near West Sunset Boulevard); 323-660-2000. When: Sunday, July 21, 2 p.m. to 5 p.m.
Where: General Store, 1801 Lincoln Boulevard (near Superba Avenue); 310-751-6393.